Cosmetic dentistry has become a vast and varied field. There’s teeth whitening—at-home, in-the-office and even laser treatment. Don’t forget porcelain veneers, cosmetic bonding, dental crowns, and a smile makeover that combines several treatments to achieve an entirely new smile. But perhaps nothing changes a smile more completely than orthodontics. And with Six Month Smiles®, you’re never too old to enjoy the health and aesthetic benefits of having straight teeth. Six Month Smiles uses the same mechanics as traditional orthodontic braces with metal brackets and wires. The difference is that Six Month Smile braces consist of Lucid-Lok® clear brackets and tooth-colored wires. So while your smile is becoming straighter, hardly anyone will notice that you’re wearing braces. This orthodontic system is practically invisible. As the name suggests, treatment time is usually no more than six months. How is this possible? 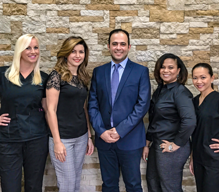 Because with Six Month Smiles, your San Antonio cosmetic dentist Dr. Kadamani focuses on correcting just the alignment of teeth that show when you smile. Other orthodontic systems are designed to realign all of your teeth and if necessary correct your bite. If you only need to align teeth in your smile zone, then Six Months Smiles may be the ideal solution for you. To ensure the most favorable outcome of your orthodontic treatment, Six Month Smiles Patient Tray Kits™ allow Dr. Kadamani to place the Lucid-Lok® clear brackets exactly where they need to be positioned on your teeth. The Patient Tray Kit is customized for your specific orthodontic needs. These custom bonding trays ensure the fast and certain placement of your braces. Six Month Smiles are surprisingly comfortable. This is because the system uses low force to move your teeth gently. You’ll quickly notice how your teeth begin to align a short time after you begin treatment. If you’re interested in invisible braces, then schedule a consultation with Dr. Kadamani. She will examine your teeth and gums to determine whether or not you are a qualified candidate for invisible braces with Six Month Smiles. 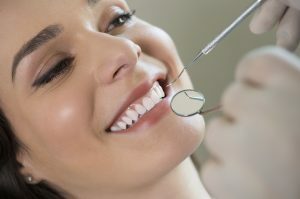 If you are, then you are only a few months away from having the straight smile you’ve always dreamed about.